The Act also reduces the maximum penalty for possession of CDS from 4 years to 1 year, and reduces the penalty for possession of marijuana over 10 grams from 1 year to 6 months. The fines for these offenses are also reduced beginning today. While drug offenses seem to be the major focus of the new law changes, the legislature also reduced the penalty for theft crimes. Theft under $1,000 will be replaced by theft under $1,500 and the penalty will decrease from 18 months to 6 months for a first offense and 1 year for a second offense. Theft from $1,000 to $10,000 is replaced by theft from $1,500 to $25,000 and though it remains a felony the maximum penalty will now be 5 years in jail. Stealing $25,000 to $10,0000 will now carry a 10-year maximum sentence and over $100,000 will carry a 20-year sentence. Other new statutes that will have have criminal implications include a law requiring veterinarians to report to law enforcement any animals that are suspected to be victims of violence of abuse. This may have the direct effect of police and prosecutors filing more animal cruelty cases, and could result in dozens of innocent defendants being charged due to an overabundance of caution exhibited by vets. There is also a provision that expands the definition of second degree child abuse, which a felony under the family law article. 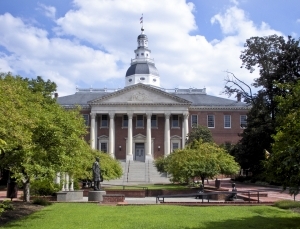 For any questions about the new Maryland laws that are currently in effect feel free to contact Benjamin Herbst at 410-207-2598. 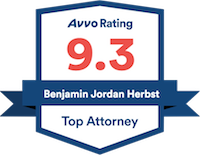 Benjamin is an experienced criminal defense lawyer that handles drug crimes, animal cruelty, theft and child abuse.